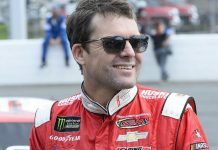 HAMPTON, Ga. – Despite a pit-road incident that left JTG Daugherty Racing with mixed fortunes in the final results, the team still enjoyed a successful afternoon on Sunday at Atlanta Motor Speedway. 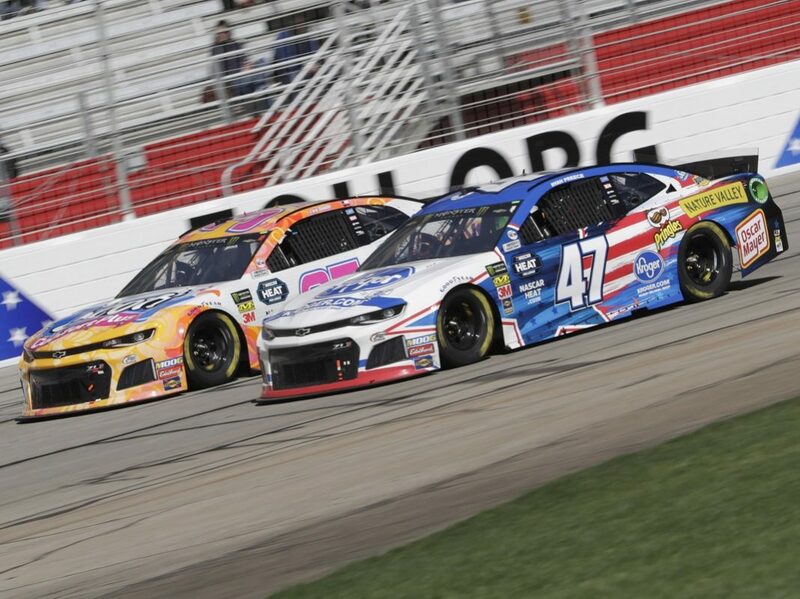 Both Chris Buescher and rookie Ryan Preece ran among the top 10 for much of the afternoon, with Buescher collecting a ninth-place finish for his best result of the season and at the 1.54-mile quad-oval. Preece was on-track to join Buescher in the top 10, but was involved in a collision with B.J. McLeod as he was leaving pit road after his final stop that damaged the front of his car and ended his day. Despite Preece’s misfortune, Buescher was quick to point out the silver lining in the clouds for the team as a whole – they had plenty of speed throughout the Folds of Honor QuikTrip 500. “That was a really good day for us,” said Buescher. “We thought we were (both) better in practice than where we qualified – Friday went really bad – so to bounce back like we did and keep making huge steps as a team like we did is awesome. I’m proud of this group for that. We were able to take our Scott Comfort Plus Camaro and really roll up through the field, and the biggest thing was that we got better every time we came down pit road. Preece was challenging for a top-10 running position when he ducked down pit road for the final time and looked down briefly at his tachometer on the dashboard as he was exiting his pit stall. By the time the former NASCAR modified champion looked up again, McLeod’s car was right in his path. “I was just trying to make sure I wasn’t speeding, and when I looked up, he (B.J. McLeod) was coming in the pits,” Preece explained. “It’s a mistake on my part, what are you going to do? It’s just unfortunate for us because we were having a really good run. We are going to have some good cars this year, and if we can keep that, we’ll be really good at Vegas. That sense of optimism was shared by the entire team after the race, with Buescher quick to note that a run like JTG had in Atlanta will serve them well, momentum-wise, heading into the West Coast Swing. “Atlanta has helped get us out of that hole … or started to dig us out of that hole we got in with being trapped in the Big One at Daytona,” Buescher said. “It just puts everyone in a good mood all around, especially with Ryan (Preece) running well like he was, too. I’m not exactly sure what happened there, but I know it was something a little bit out of his control. 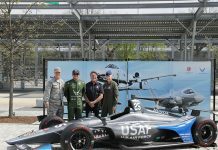 While Atlanta’s data may not carry over directly to the coming weekend’s full rollout of the new aerodynamic package at Las Vegas Motor Speedway, Buescher said there was still a lot to be learned. “Yeah, we learned a ton (that will carry through),” said Buescher. Maybe not so much (to) Vegas, because it’s a smoother, higher grip race track … but you look at Fontana’s surface and it’s very similar to this and it’s a bigger track. There’s something to be said about the bumps and what we did to combat that, versus what we were doing about clean air. All in all, if Sunday’s race is any indication, the best is yet to come for JTG Daugherty Racing. “We feel like we’re going to be better this year,” Buescher stated. “The test out in Vegas with Ryan went really well and we were happy with our speed there. Even here, we were dialed in at the end when we needed to be.